Heroic Opera’s third show is Richard Strauss’ Elektra. 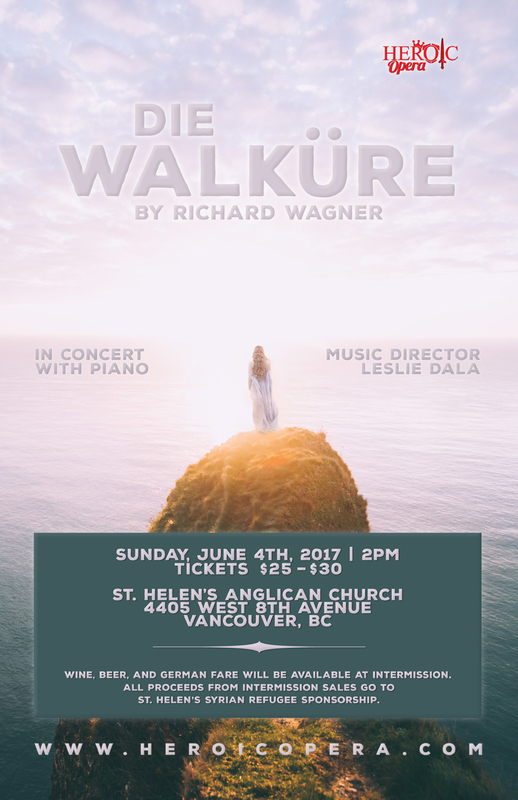 The opera was presented in full, in a minimalist setting, and a cast of some of Vancouver’s finest singers. Heroic Opera’s second show is Verdi’s Un Ballo in Maschera, a co-presentation with Opera Mariposa. The opera was presented in full, with lavish costumes, and a double cast of some of Vancouver’s finest singers. Heroic Opera’s inaugural show was a presentation of Wagner’s Die Walküre. The first performance of the opera in its entirety in over 40 years. Performed in concert with an outstanding cast of local and international singers.